Right-click the image to download the map (PDF 1.7MB). 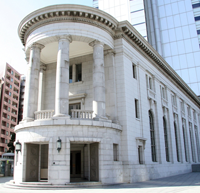 The former Dai-ichi Bank Yokohama Branch is a classic-style historical building constructed in 1929 and moved to Bashamichi from the original location. This beautiful building features magnificent Tuscan style columns arrayed on the balcony. 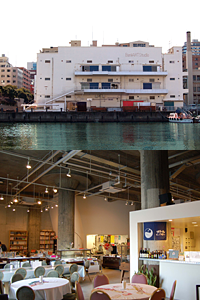 In 2004, as the city’s first experimental project to make use of historical architecture for the promotion of art and culture, “BankART1929 Yokohama” (managed by NPO BankART1929) was launched in the building and it has led the art community of Yokohama. 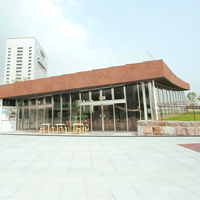 In May 2009, this building began to function as Yokohama Creativecity Center (YCC), which is the frontline base of the project “Creative City Yokohama” that aims to combine art, community development and promotion of industries in order to animate the entire city. BankART Studio NYK is a pilot project of the “Creative City” plan launched by Yokohama City in 2004 to build bases for revitalization of the downtown area through making use of historical architectures and former harbor storages for the arts and culture. 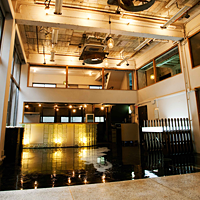 It has been managing studios, schools, a cafe, pub and shop in addition to producing contents, organizing events and coordinating projects focusing on fine art, architecture and performance. Approximately 120,000 people visit the Studio every year. A cultural facility situated in a building that was renovated from a warehouse built in 1913. Its concepts are “creation and dissemination of the arts and culture” and “creation of liveliness.” Focusing on contemporary dance and fine art, it has been promoting emerging artists to the world. 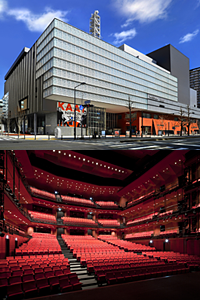 Equipped with a hall with flexible facilities and gallery, it functions as a hub of culture and tourism in Yokohama through art and entertainment. A theater that opened in January 2011 with three creations as its theme: creation of contents, creation of people and creation of the city. 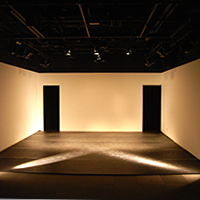 Equipped with a 1,200-seat hall, 220-seat Large Studio, Middle Studio, Small Studio and Atelier, the theater creates and presents excellent performing arts works in the fields of theatre, musical and dance. The director Amon Miyamoto is its artistic director. 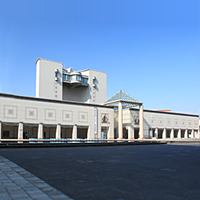 A museum that collects Japanese and foreign artworks after the latter half of the 19th century and has ateliers for various workshops, Art Information and Media Center, a cafe and museum shop. 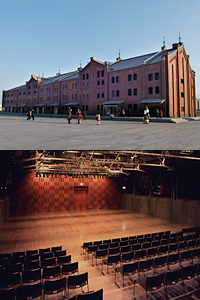 One of the main venues of the Yokohama Triennale 2011. 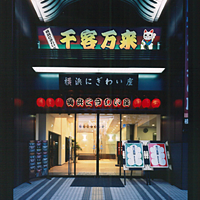 A space in Yokohama Nigiwai-za, a theater for popular entertainment such as rakugo, manzai and daidogei. It has also been used experimentally for theatre, dance or concerts. A rest house and an art space that organizes dance performances and exhibitions with the theme “cultural trade” as a base for new creation and dissemination. The smallest theater in Yokohama established in 1987. Highly acknowledged as a base for local theatre companies and for creation of nationwide contemporary dance artists. Artists renovated a 45-year-old four-story ex-finance company building and created this art space & cafe, which aims to disseminate arts and culture through exhibitions and shows of fine art, theatre, dance and performance and to be a place for urban communication.